On holiday recently, I looked at myself in the mirror of the caravan we stayed in and realised how much weight I’d put on. I’ve been really good over the last few years and shed a couple of stone, but you know what, if you don’t keep an eagle eye on things you soon start to put it back on. A pound here and a pound there doesn’t seem much, but add them all together and before you realise it you’ve got a weight issue. Anyway it was not worth starting a weight-loss programme while on vacation. For one, I had no scales and the whole point is that you have something to measure your progress by. Therefore I continued with the unhealthy holiday lifestyle knowing that once I got home I would get on the weighing-machine and begin the process of shedding the pounds. I went the whole of last year without crisps, chocolate, cakes etc so it’s not unfamiliar territory. Combined with more exercise, the Mother Of All Diets has officially begun. Updates to come. As they say, watch this space. Part of the ‘new me’ (for want of a better way of putting it) as stated above involves exercise, which in my case means playing more football. When you can get healthier and it involves something that you enjoy, it doesn’t feel like a burden. I kicked off (no pun intended) with three games in six days, consisting of two midweek local games then on the Saturday travelling to the Rolls Royce pitch at Derby. 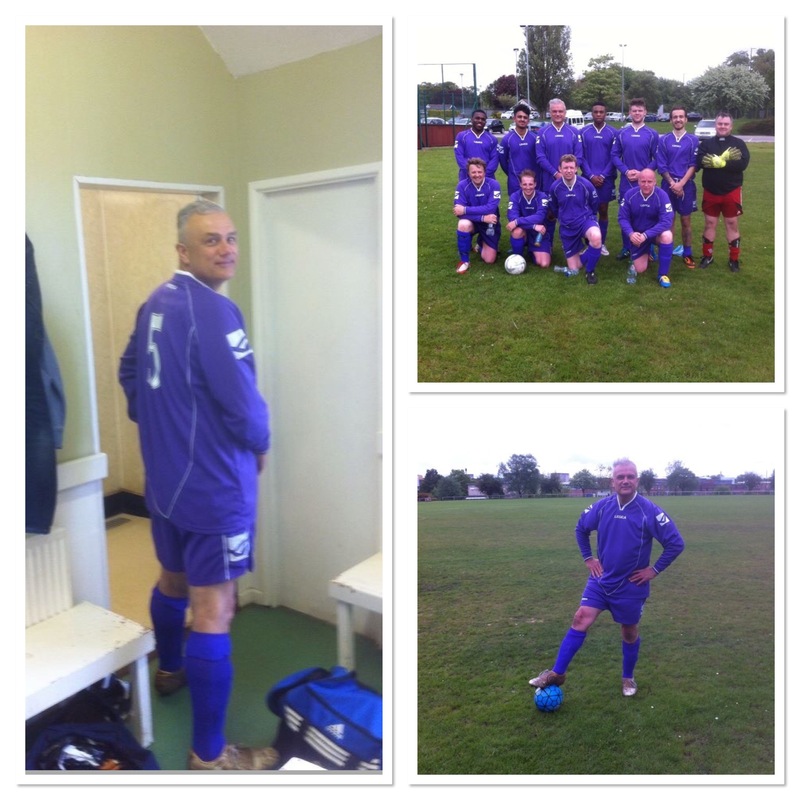 Two wins and a draw and I even managed a couple of goals along the way. I’m happy though just to be playing 90 minutes of 11-a-side football against opponents younger than my daughters. Now, the fishing. With the weather, and therefore the water temperature, continuing to improve I decided to get my bream head on this week. By that I don’t mean the 1lb skimmers that can be found here, there and everywhere. No, I’m referring to the elusive big bronzed beauties, especially when they break the double-figure barrier. 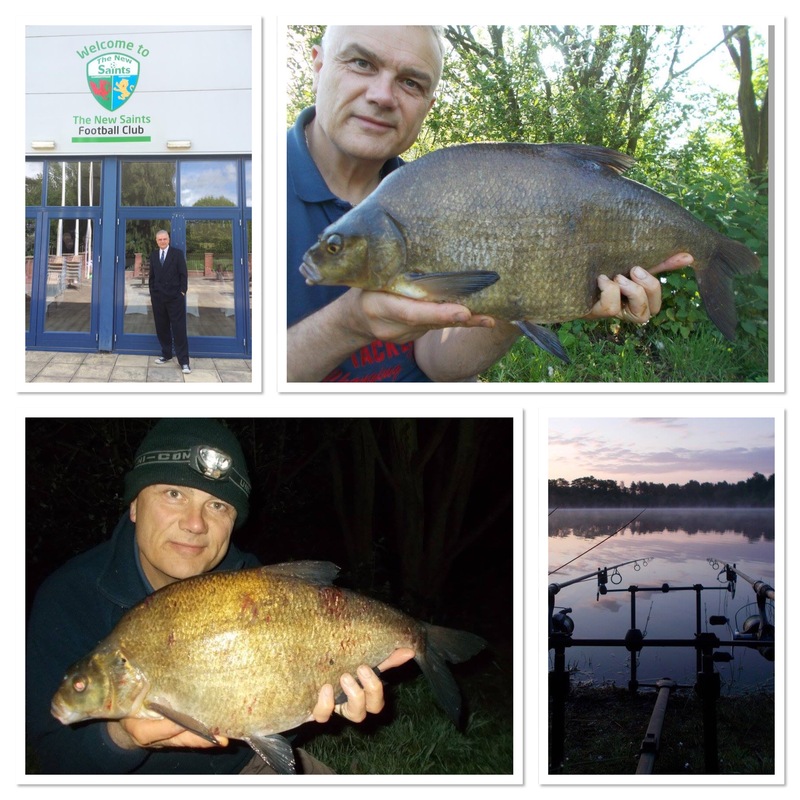 I am the first to acknowledge that bream aren’t everyone’s ‘cup of tea’ and especially so if you’re a dedicated carper. 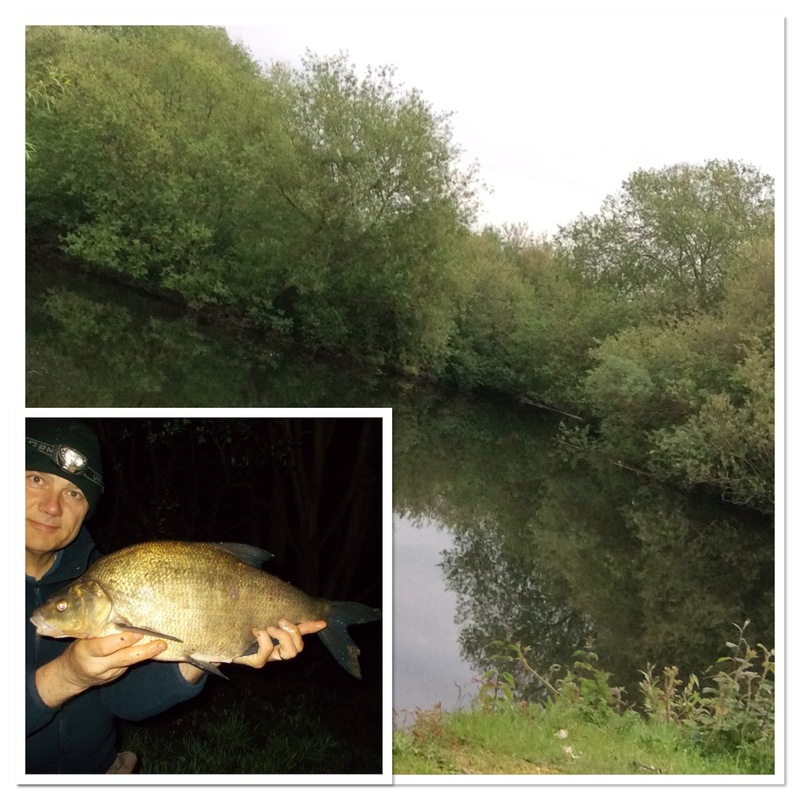 As far as I’m concerned though, there’s no such thing as a nuisance fish and I’m happy to target anything, including bream. I fish a handful of venues that contain fish worthy of an overnighter – and that, realistically, is when you’ve got the best chance of getting among the decent ones. Like life in general, there will always be anomalies, and although I’ve banked good bream in the middle of the day with the sun high in the sky, mostly you’re looking at nocturnal activity with dawn and dusk being good times as well of course. Plus you need dedication and patience and not be afraid to blank. If you need a bend in your rod every five minutes then specimen bream fishing is definitely not for you. That was the case on the opening session of the blog as my alarms remained silent, certainly as far as fish on the bank was concerned. Of course, you get the occasional single beep every now and then. Maybe a fish catching the line or possibly weed. Whatever it is, the prayer that it will develop into something more concrete goes unanswered and you drift off back into a catnap. I don’t know if you’re like me but I never sleep properly when I night fish. Even when I don’t catch fish I’m never fully asleep in the same way that I am when I’m at home. 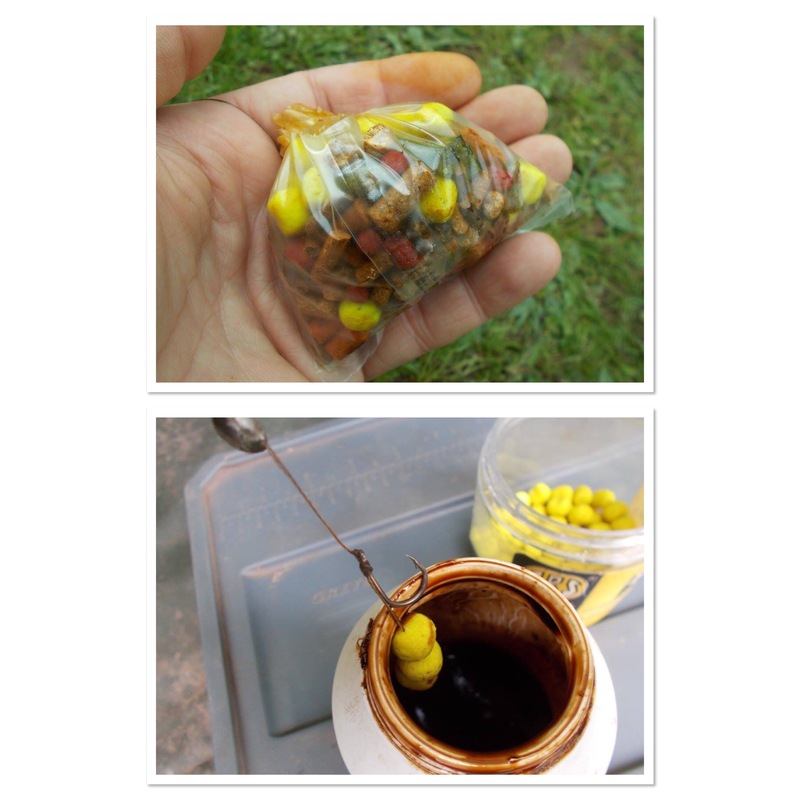 I fished my favourite SBS corn-shaped poppers on both rods. Over corn and proactive multimix pellets, I was very confident. However, by the time morning came round and I packed away the only thing I recorded was my first blank of the week. 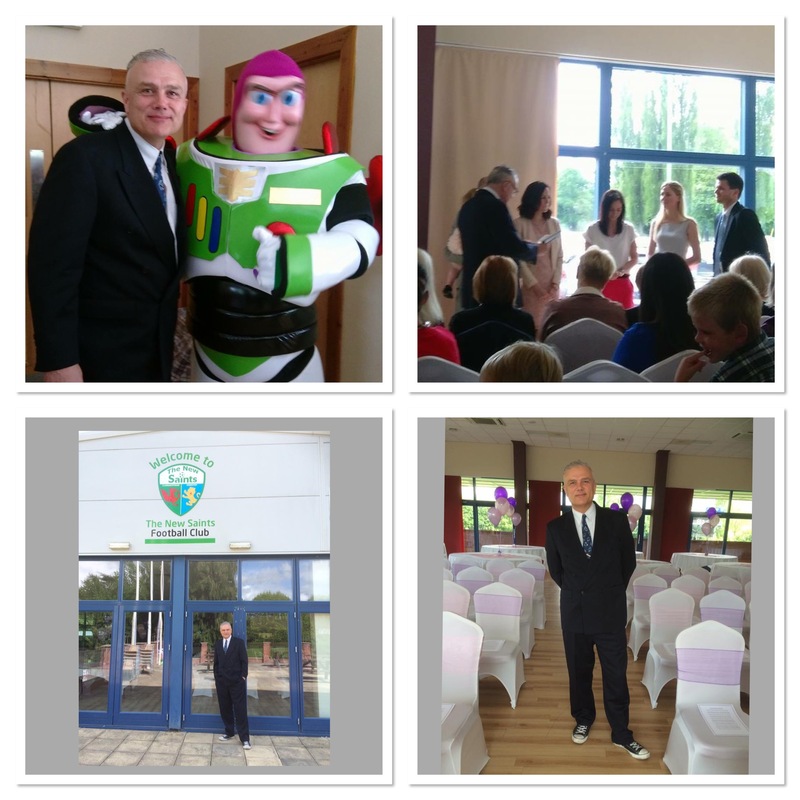 Not to be put off though I was back on the same venue and peg a couple of days later. I have noticed though that even the carp anglers have deserted the place in the visits I’ve made this year. Chatting to one (the first I’ve seen this year in the area I fish) before I set up, he confirmed that the venue isn’t fishing well at all. He had done 20+ nights for a couple of small fish. That’s where being aware of other anglers’ catch rates can be positive. It’s not about who is the best, but knowing what’s coming out – or not as the case may be – helps you to be realistic in your fishing. Your own catch-rate may be such that you think you’re having a bad spell when in fact you’re doing really well. Anyway, the second session also threw up a blank. I did see a couple of crashes over the baited area at first light, which made me hopeful of a carp, but nothing developed. As stated though, big bream fishing is all about perseverance, and not discouraged at all I set off for my third and final outing of the week. This time though I headed in the opposite direction, to one of my favourite gravel pits. I don’t fish it enough but that’s only because I have so many competing venues and fish that put demand on my time. Not that I’m complaining, far from it, it’s a nice problem to have. As far as my fishing is concerned I’m always wanting more time. This venue is huge, in fact if I described it as an inland sea that is exactly what it seems like. I set up in one of my favourite swims and although the area in front of me looks massive in its own right, it is just a tiny dot as far as the big picture is concerned. 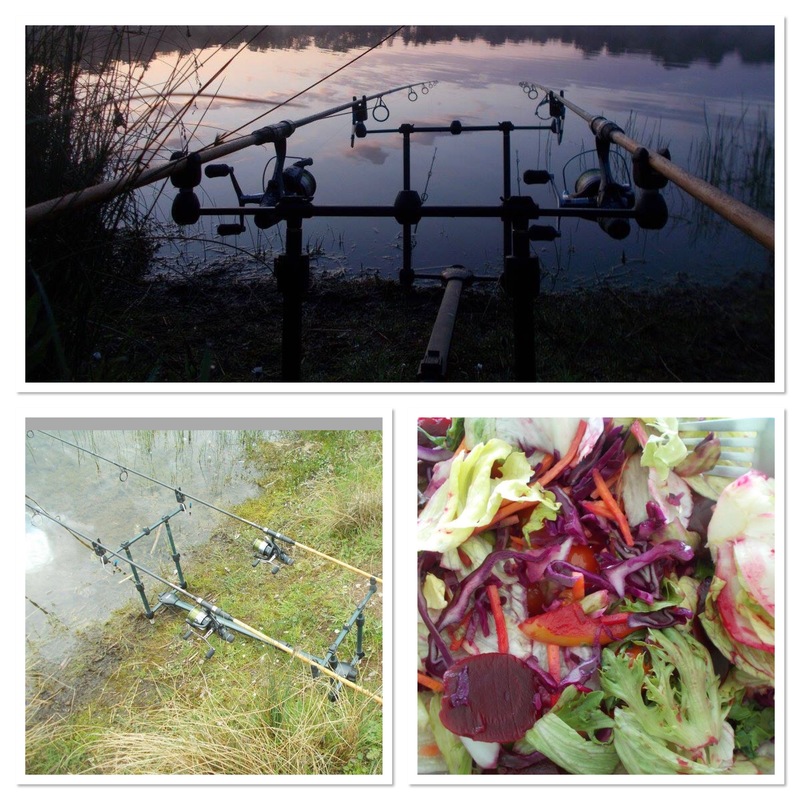 My approach was slightly different in that this time I went for cranberry boilies. Fishing two spots, I catapulted a fair few of the round red balls in. Once you get a shoal of bream move in they certainly need feeding to keep them there. 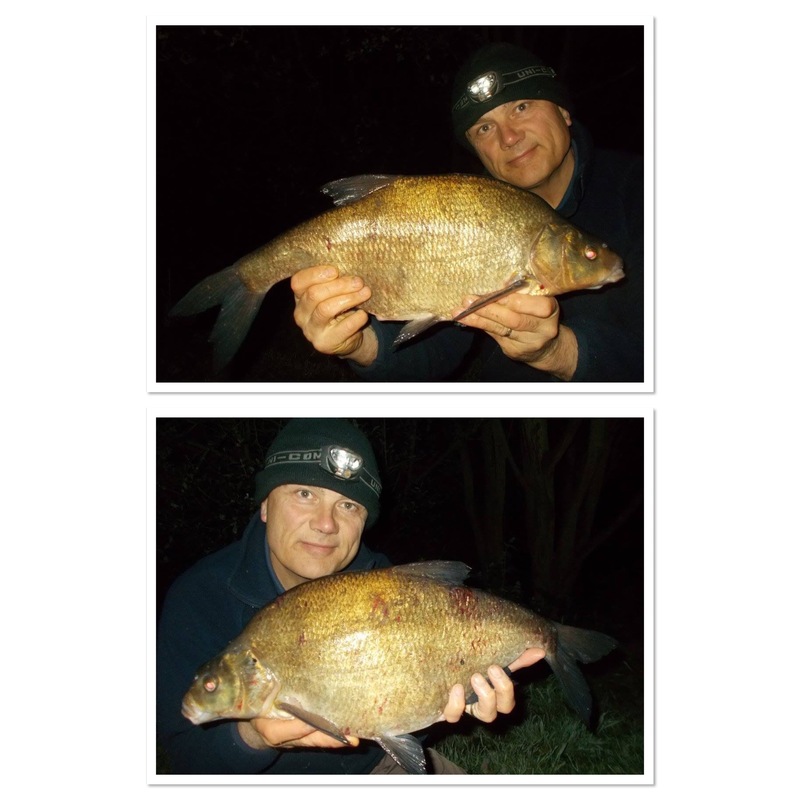 Prior to darkness I fished with soluble cranberry pop-ups, then once my baits were out for the night, with standard boilie on one and pop-up on the other. I was so confident that I’d catch, I just knew I would bank a fish. I had to wait until midnight though, as the pop-up bait was taken by what was the smallest one of the session. Not a monster, by any stretch of the imagination, but when you’ve had a couple of blanks already, all fish are very welcome. The fish got bigger as the outing wore on and the final bream came, as I referred to earlier in the blog entry, when the sun was high in the sky and I was packing away. I had already broken the pod down when line started to peel. I thought to myself that it must be a carp, instead it was the biggest bream of the session. I’ll certainly be doing more ‘slab’ fishing this summer, so as they say, watch this space. In fact, given the choice I’d sooner target them than I would carp. I know at this point, hardened carpers are thinking I must be crazy or something, but that’s the beauty of fishing. It can be whatever we want it to be for us. Due to the places I fish, the methods are pretty much the same. I use a smaller bait, that’s probably the biggest difference. Most angling passers-by assume I’m after carp when they see my set-up. As always I was enjoying the natural world as I fished, with the best sighting being two adult and two young oystercatcher. It’s always great to see them inland but when they’ve successfully bred that’s even better. Kingfisher, greylag goose, blackcap singing next to swim and masses of red campion and white dead-nettle made it a very pleasant session indeed. 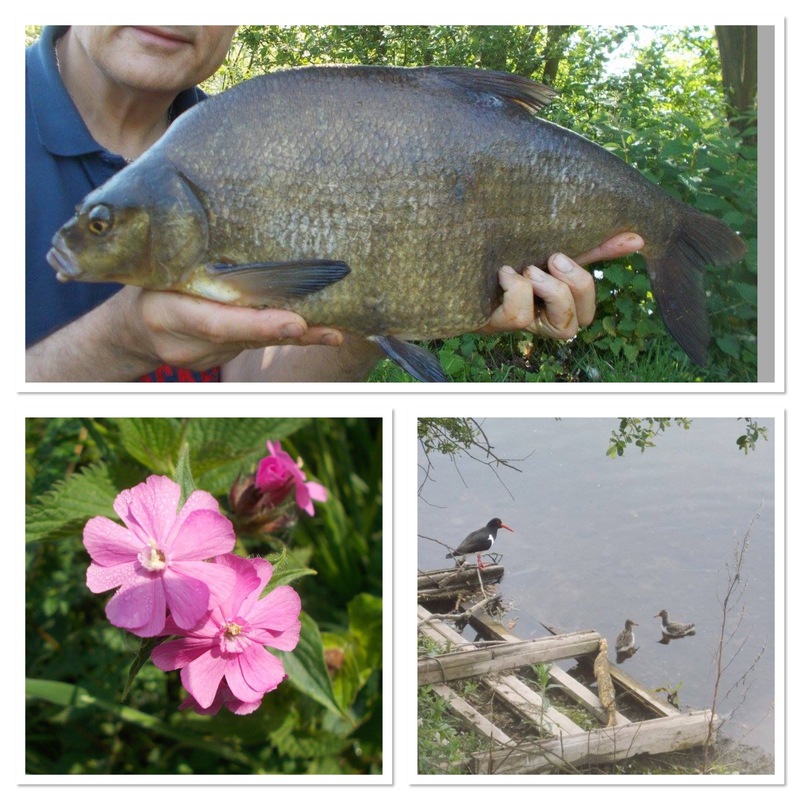 As I often say, angling is the perfect platform from which to view the natural world. On Sunday just gone, as part of the heading states, Park Hall became a church. For those who don’t know, that’s the home of The New Saints and it was more ground-breaking for the Welsh champions, this time courtesy of a christening. I was extremely honoured to be approached recently by Scott and Charlotte Ruscoe to see if I would officiate for their daughter, Florence. The function room therefore became church for the day and along with my wife Debby, who handled the music, it was a real blessing. For those who are not aware, following an incredibly successful career on the pitch, Scott is now the assistant manager at TNS. Continuing with the TNS-theme I found myself in the Shropshire Star this week and you can read that by clicking HERE. Then of course, there’s the weekly podcast that we produce at the club. Although the season has ended, the show still goes on. The latest one, episode 38, features goalkeeper and captain, Paul Harrison, the official photographer, Brian Jones, and Academy coach, Jason Brindley. Listen to it HERE via the link on the TNS website.